RASL on the big screen? A) The film adaptation of Smith's infinitely more popular series Bone has languished in development limbo for the past several years, which doesn't speak well for his marketability. 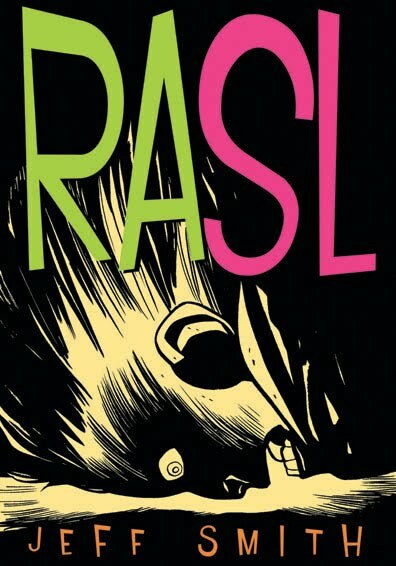 B) Smith has only managed to release nine issues of RASL in three years. C) Plus, none of those nine issues have made much sense, so I have serious doubts about whether or not they could be transformed into a coherent movie. D) The title... is problematic. Don't get me wrong: I like RASL, and it's certainly atmospheric and emotionally compelling, but it would require an enormous amount of patience, money, and love to make this sucker into a decent film. Why would Hollywood want to waste that kind of effort when they could be churning out Transformers #17?